That’s how the world talks today, and that is how a brand devolves and reaches at the peak. Online Branding is indubitably the most effective marketing technique. How is it possible for me to demonstrate the working of my product or rather my expertise to millions of users simultaneously? Online branding achieves this, and, keep in mind that, it is not the only thing. Online branding can take various forms from audios, videos, articles, blog posts, online seminars, and webinars to media releases. The options can be utilized as per your needs and budget. This method of marketing is not about spending money on the brand, but it is about creating an image that is sustained with the consumers. Seeing is believing, and when a consumer sees and hears about your expertise, there will be no doubt in your credibility. There are many number of online video portals which give free services to upload videos. The power of visual has always been greater than the word of mouth. The social media platforms such as Google +, Twitter, FB and YouTube offer the best chance to reach the target audience in a faster and effective manner. An audio, video, or a blog post can go viral in a matter of hours. The more it is shared; the more people know about it, and this, results into priceless marketing of your business. Online branding aids in direct interaction with the customers. This helps the brand to be an integral part of the customer base. Consumers need on-the-go replies and assurance. Your interaction with consumers on a daily basis will depict that you care for them, and this in turn, will help you to have a rooted presence in the market compared to your competitors. In this digital world, the chances of consumers finding your brand online are exceedingly more than that of finding it offline and even so, a Google search is followed up to be assured. People now-a-days are so preoccupied with work that hardly do they have time to browse through a catalog or rather even carry it with them. They prefer in the ease of access information. 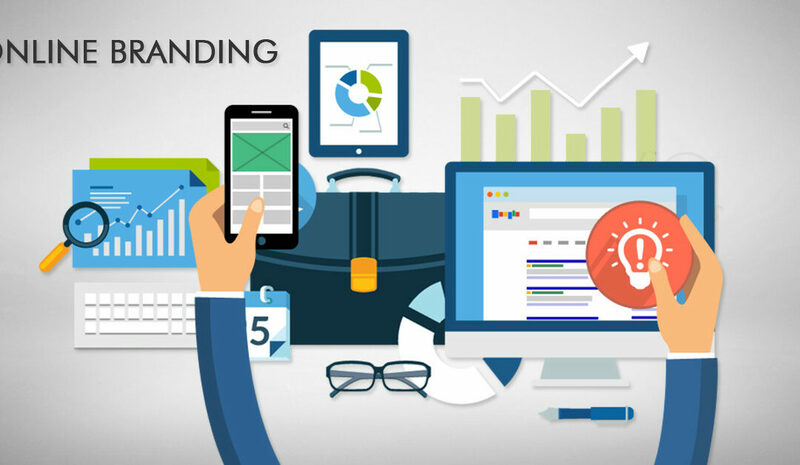 Online branding serves this purpose in the most efficient manner. If consumers are not sure about what your products or services are, how are they supposed to recommend you? Online branding showcases your business abilities and helps consumers in getting familiar with your business. Recommendation gives you recognition. The most powerful asset of Online Branding is recognition. Exposure to potential customers will help you make them aware about your business capabilities. This successively yields better business equity and builds a loyal consumer base. Marketing has evolved many folds, and online branding is definitely one of the most efficient ways to market your business.